Maybe not today, maybe not tomorrow…but soon! And for the rest of your life. When I was about to land in Chicago, the TV screens on the airplane showed a video welcoming passengers to the U.S. It showed green lawns, kids chasing golden retrievers, and people of every skin color. Despite having lived the majority of my life in America and already knowing exactly what it looks like, the video made me pretty excited about arriving in the land of opportunity. 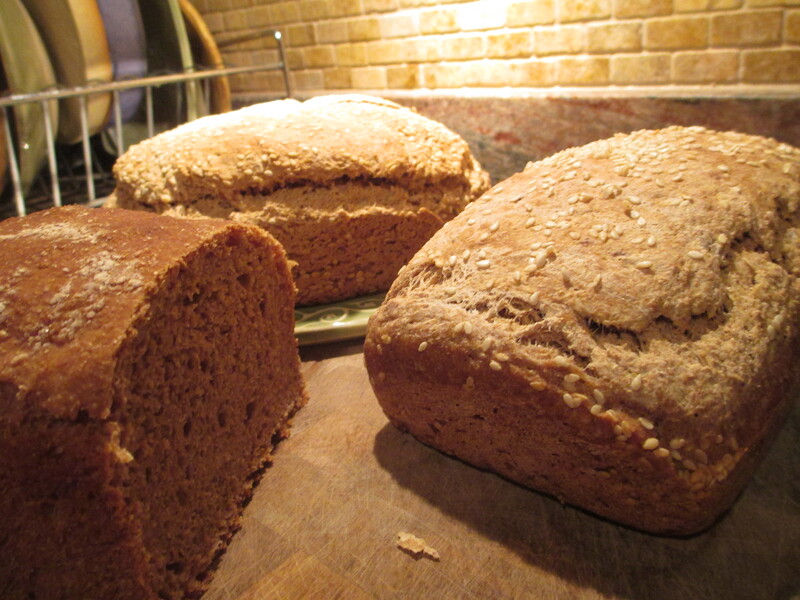 The photos in this post are of bread I’ve made. 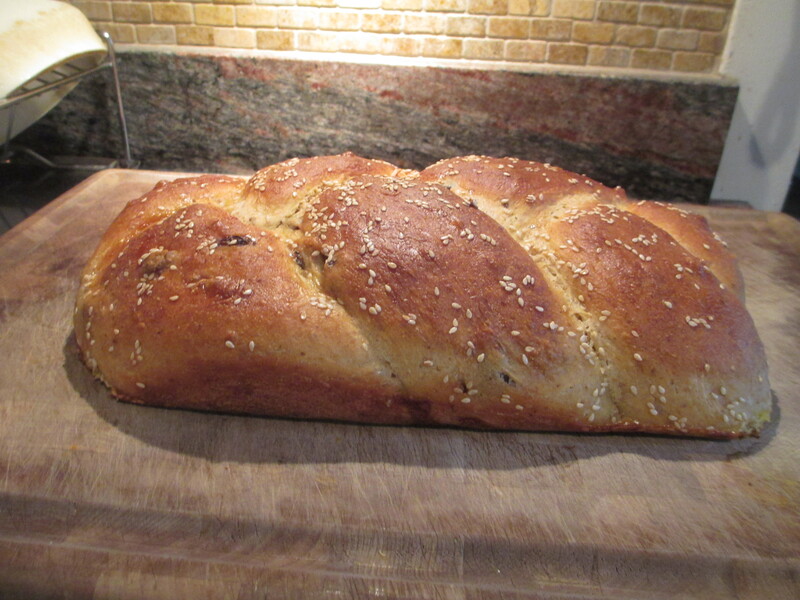 This is yogurt bread and date-sesame bread. America isn’t really as perfect as it looks on that video, although that’s not much of a surprise. However, after being away for a year, there are several things that have surprised me. First would be the no guns allowed sign all over Chicago (thanks to the conceal and carry law being passed), which is on a lot of public buildings; it’s odd to think that people need to be told that weapons do not belong in public buildings. Not that I wanted to take a gun into the library, anyway. Men wearing their pants so low that their butts hang out is not new, but it is still kind of surprising to see after not seeing it for so long (maybe some of them could use a djellaba). Occasionally getting catcalls when I’m walking to my internship on the South Side is also not new, but is pretty disappointing – I thought I was going to have a break from that! It is much easier to go for runs or walks here without worrying about what I’m wearing, but it’s not as different from Morocco as I was imagining it to be all of last year. Another surprise came to me at Walmart. I made my first ever trip to the all-American store last weekend, and only now do I really understand the purpose of giving up sugar. Walmart is full of packaged foods, nearly all of which have sugar or High Fructose Corn Syrup. It’s in cereals, peanut butter, bread, yogurt, and pre-prepared meals. Someone shopping only at Walmart would truly be challenged to totally give up sugar. And what’s more, the food doesn’t taste the same here, even if bought at fancier stores than Walmart. The carrots aren’t as sweet, the eggs aren’t as rich, the olive oil doesn’t taste like olives, and the Philadelphia cream cheese has ten ingredients instead of the four in Morocco’s (or Spain’s) version of the exact same brand. These were difficult discoveries for me when I arrived; I love cooking and baking so much, so I want the ingredients to taste good! I know from working with refugees that new immigrants (and even those who have been abroad for quite a while) have trouble adjusting, unfavorably comparing everything to equivalents in their home country. It takes a long time to get used to little differences and to both appreciate what is better in the new country and to stop comparing it to the old. It’s oddly not that much easier when the new country is also where you are from. I guess I’ve got six more weeks to work on it. 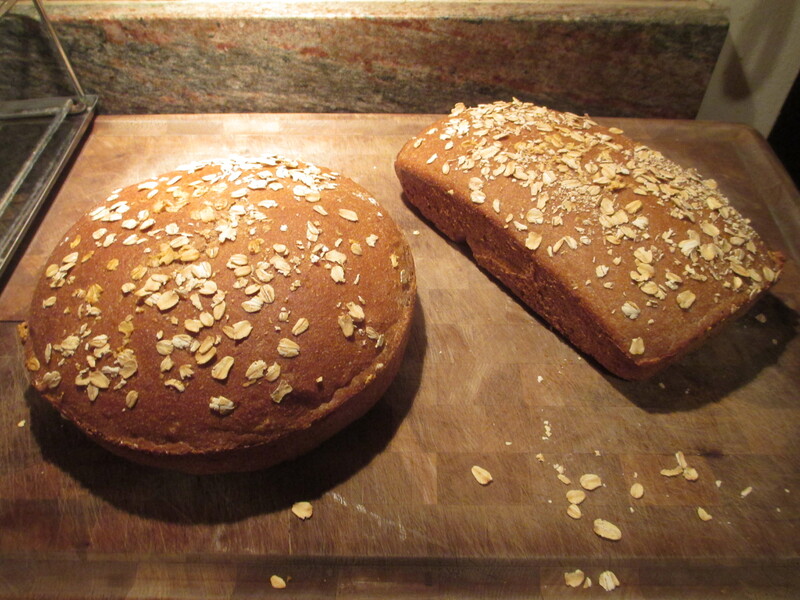 Well, at least my bread loaves are pretty! This isn’t bread! 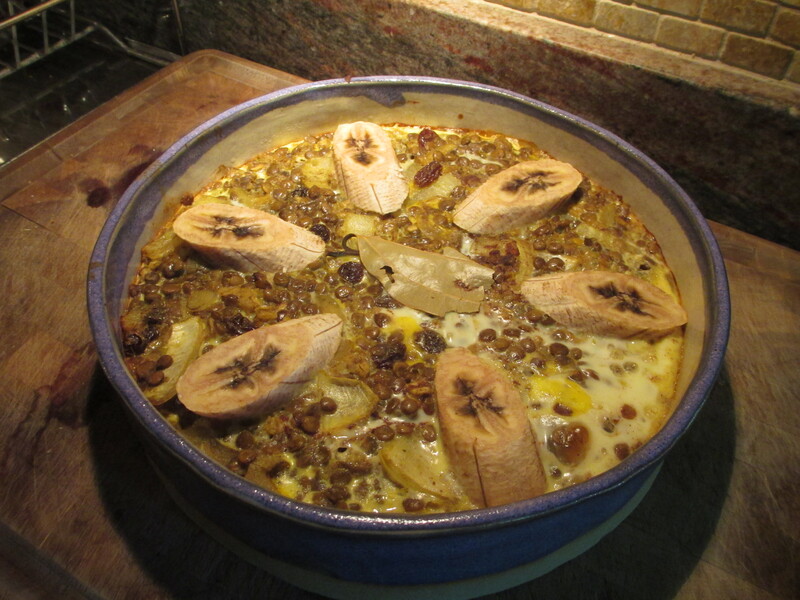 It’s South African Bobotie, a dish made with lentils (or meat), bread crumbs, and egg/milk/banana topping. And the bread recipes are all from the Laurel’s Kitchen Bread Book (http://www.amazon.com/The-Laurels-Kitchen-Bread-Book/dp/0812969677). Enjoy! Click if you want to receive notification about new posts by e-mail. Have you Ever Tried Tree Watching? Will I Ever Get a Visa? If I go running again, I’ll get hungry! Click to see my interview! Click to check out my blog from last year, when I was the Amideast Blog Abroad Correspondent at Al Akhawayn University! 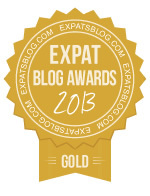 Check out my interview for the award!